We just learned that the BMW X3 M and X4 M are “Coming Soon”, according to a recent teaser from BMW. With their proper M-developed engines and lighter weight, the X3 and X4 M should be the fastest SUVs ever to come from BMW’s M Division. 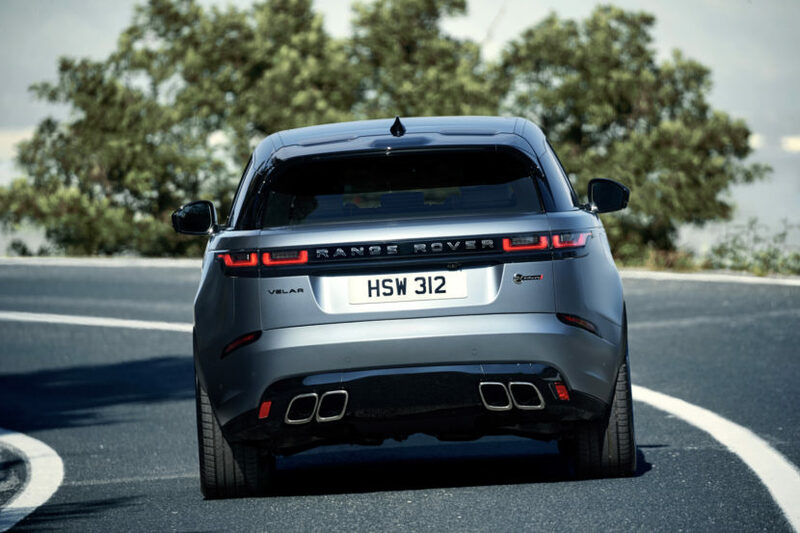 However, they may be outgunned in the segment the moment they’re released, as a competitor from England is already packing some serious firepower — the Range Rover Velar SVAutobiography. 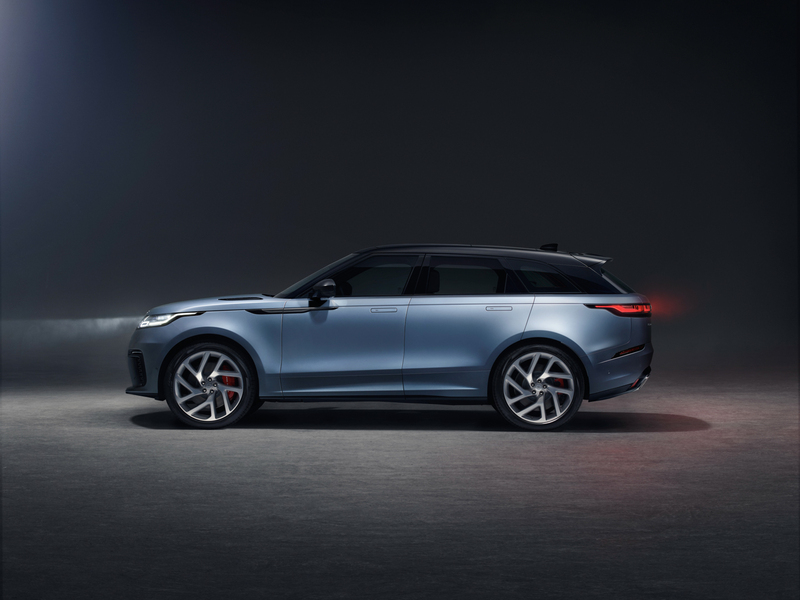 Just announced, the Velar SVAutobiography (which, let’s admit, is a silly name) is what happens when JLR’s SVO (Special Vehicle Operations) people get their hands on a Range Rover Velar. So instead of its usual 3.0 liter supercharged V6 making 380 hp, the SVAutobiography makes a whopping 542 hp from a 5.0 liter supercharged V8. That monster V8 is paired with an eight-speed automatic, all-wheel drive, an as-standard limited-slip rear differential and newly adjusted air suspension. It can also send 100-percent of its power to just its rear wheels for performance and handling purposes, while also have a new transfer case that can cope with the thunderous V8. So it’s not just a big engine in a pretty face. It’s been properly tuned to handle as well. Or at least as well as a Range Rover can, as even its performance-oriented vehicles are somewhat truck-like. Which is more the nature of the brand than an indictment of its abilities. Range Rover’s claimed performance are slightly less exciting than we expected, due to all of its power on tap. According to the famed British brand, the Range Rover Velar SVAutobiography is capable of 0-60 mph in 4.3 seconds. That’s quick, no doubt, but it’s not as fast as we were hoping with 542 hp under its hood. For instance, the much bigger and much heavier BMW X6 M can do the same sprint in 4.0 seconds flat, with only around 30 more ponies. We expect the BMW X3 M to crack the three-second barrier to 60 mph and the Velar doesn’t weigh too much more. 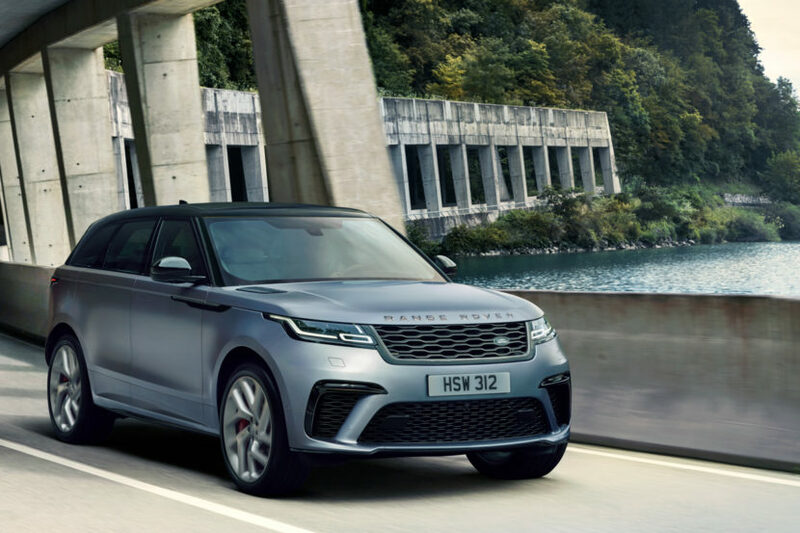 Though, car company claimed figures are always conservative, so it’s possible the new Velar SVAutobiography can break into the three-second range as well, in real-world testing. As always, the new Velar is gorgeous and has a lovely looking interior. We have the same technology concerns as we did with the standard Velar but its new Touch Pro Duo system is pretty good. It’s not as good as BMW’s new iDrive, nor is it as good of a touchscreen system as Audi’s new MMI, but it’s not the worst in the business and works well enough. So as soon as the BMW X3 M is released, it will already have to deal with the V8-firepower of a Range Rover Velar SVAutobiography. It will be very interesting to see how the two compare when they’re both released.